Buying your first bike can be a daunting process. The array of components, bike types and materials on offer can be bewildering. Read on for our simple guide to buying a good road bike for beginners. Whether you are taking up triathlon, adventure racing, road riding or are simply looking for a reliable steed to ride to work on, we have got you covered. How much is an average road bike? 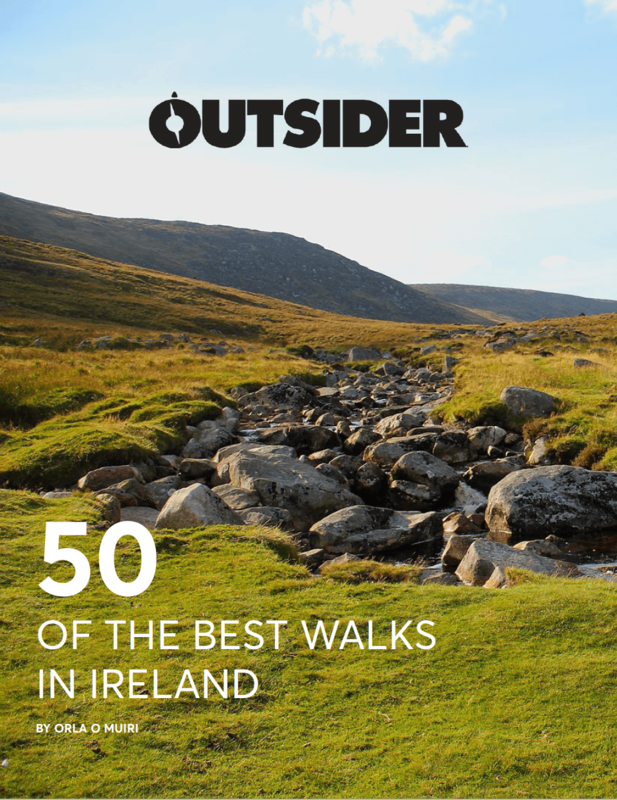 Bikes are getting better and better, and the price for a road bike can range from about €300 for an entry level road bike right up to about €10,000 for an all singing, all dancing number. The bike to work scheme, which is capped at €1,000, is a great way to get the most bang for your buck. And if you are heading up to that €1,000 mark, you will be able to get yourself a really decent bike. Cycling to Work Will Make you Smug AF, Here’s Why! There are three main choices when it comes to bike frames and forks. Aluminium is the most common frame material for entry level road bikes. It is inexpensive, durable and makes stiff light frames. Steel was the material of choice for road bike frames until the 1980s. But it is a material that really needs to be in the hands of a very capable bike designer. These days you will rarely find steel bikes in anything other than touring bikes where weight is not a huge consideration. Titanium can be as light as aluminium and as durable as steel, making it seem like a pretty desirable choice for a bike. The downside? It is very difficult to work with making it an expensive option. Carbon fibre is currently the most desirable bike frame material on the market. Formally reserved for those with deep pockets, carbon fibre bikes have become far more affordable with options available under the €1,000 mark. However, there is still a big difference between the carbon fibre used on a sub €1,000 bike than that of a €3,000 bike. Be careful not to choose a carbon fibre bike based on the fact it is a carbon fibre bike. You might find that an aluminium bike at the same price point has far better components. Better wheels on an aluminium bike, for example, might outweigh the weight saved on a carbon fibre bike with lower grade wheels. This is the slightly trickier aspect of buying a bike. Those new to the sport will be forgiven to think that bike salespeople speak a different language as they bat around words like Shimano and SRAM. When buying a bike, you will likely be told about the groupset of said bike. This refers to the collection of brakes and gear parts. At entry level, you are most likely to encounter Shimano. 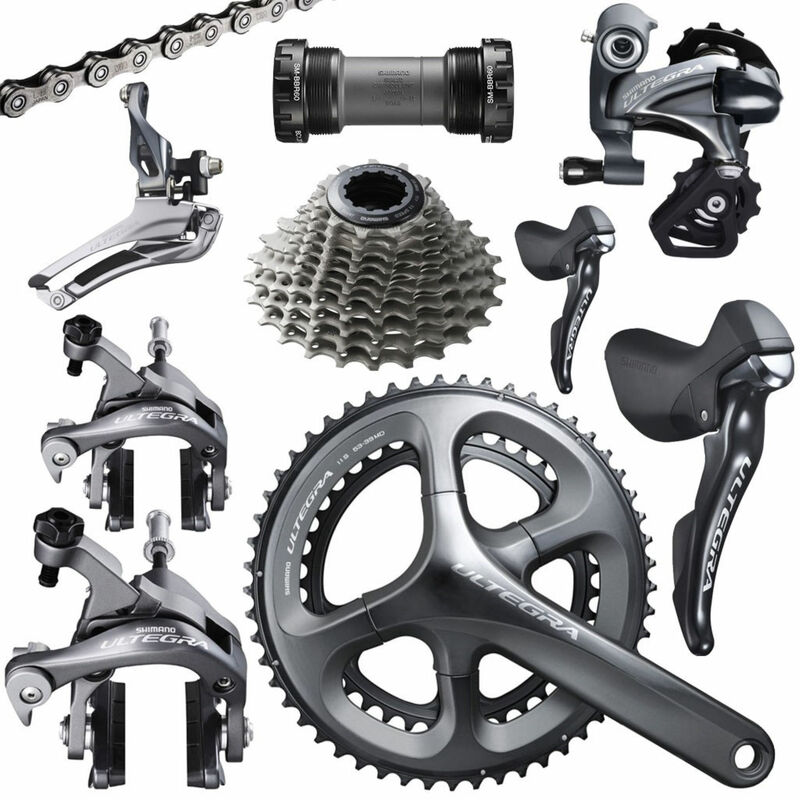 We highly recommend that you go for the best groupset that you can afford. Higher end groupsets provide smoother shifting, more gear choice, and an overall lighter weight. How many gears does your road bike need? Discussion on road bikes often turns to the gearing. The best place to start is with the crankset – ie the part that the pedals attach to. New cyclists should opt for a triple or a compact crankset as they will provide the best range of gears to give you a helping hand as you start tackling hilly terrain. A triple crankset: The means there will be three chainrings at the front. This is more often than not paired with a 9-speed cassette on the rear wheel, giving a total of 27 gears. This set-up is most commonly seen on entry level road bikes. A double crankset: This means that there are two chainrings up front. They will usually be paired with a 10-speed cassette on the rear wheel giving a total of 20 gears. A compact crankset: Again this has two chainrings up front. However, a compact crankset has smaller chainrings with fewer teeth than a double crankset meaning it has a lower range of gears. This is the most common arrangement on bikes with a sport as opposed to a racing geometry as it gives a similar range of gears as a triple crankset but with less weight. 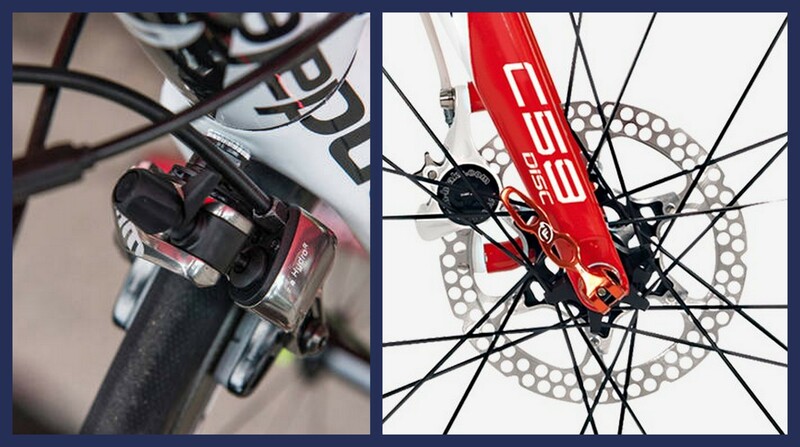 Once reserved for mountain bikes, disc brakes have now made their way on to road bikes too. And to be totally honest there are pros and cons with both! Disc brakes are fantastic at having consistent stopping power. Even in wet, mucky conditions, disc brakes will perform well. Rim or calliper brakes do tend to suffer slightly in wet conditions. The latter, however, are cheaper and far easier to maintain. I would argue that this is the most integral thing to get right when buying a new bike. A bike that is too big or too small can lead to issues such a backache, not to mention the energy you will waste! Try, where possible, to buy your bike from a retailer that offers a custom bike fitting service. It is a good idea to get the leg over the bike you are buying to see how it feels. And if you can, a short test spin will give you an even better feel for the bike. If you are buying a bike online you will find a number of resources that will help you measure up at home. You will find that a particular bike store will tend to stock a couple of bike brands with a large emphasis on one or two brands. Wheelworx, for example, is the place to buy a Trek bike in Dublin. When it comes to choosing a bike brand, it is best to draw up your list of requirements, figure out how much you want to spend on a bike and head out to a couple of bike shops to see a couple of bikes. Those who are brave enough to buy online can also seek out some great deals. I am a big fan of Chain Reaction’s own brand, Vitus. Due to the lack of a big brand name, the range of bikes offers great bang for your buck when it comes to frame materials and components.